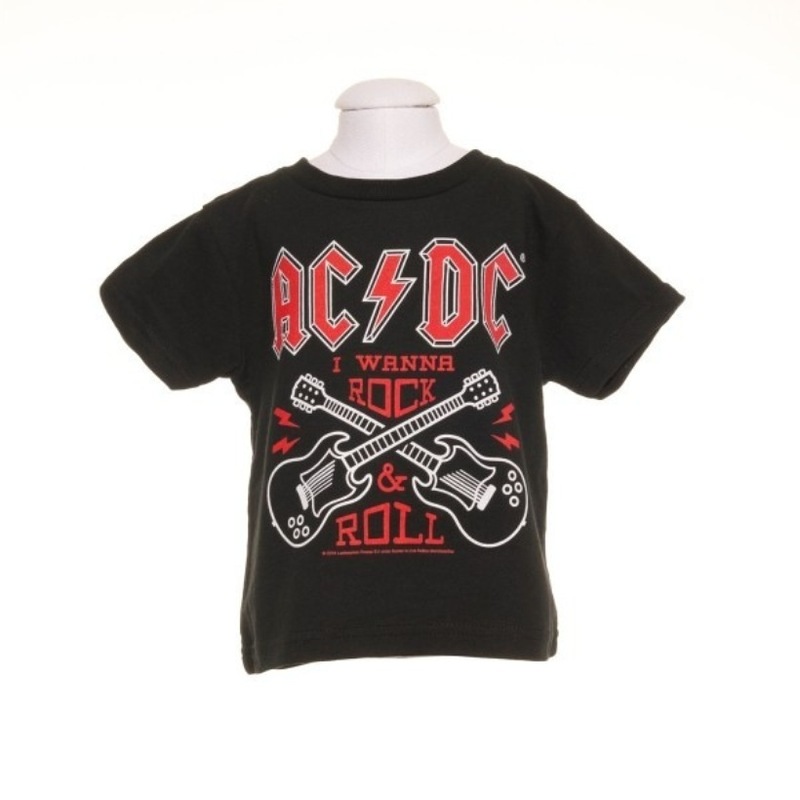 Kids t-shirt that says "AC/DC I Wanna Rock & Roll" with a rock'in electric guitars graphic. I ordered this as a Christmas present with a short time for delivery. The shirt arrived quickly, it was a decent quality, and the design was vibrant. I was very happy with the purchase.